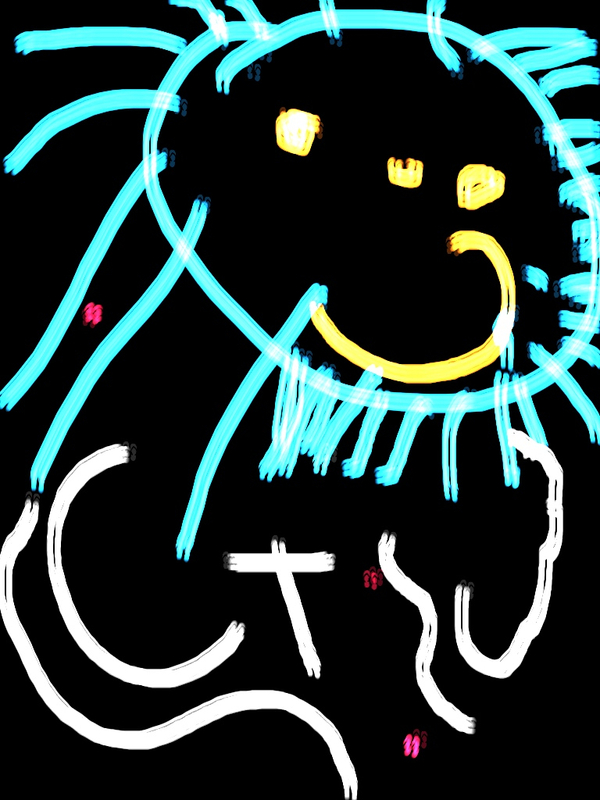 We downloaded an iPad app called ‘Drawing Carl’ and Jade’s really into it. She had fun exploring the different features (pattern fills, mirror drawings, etc). This is my fave from the other day. 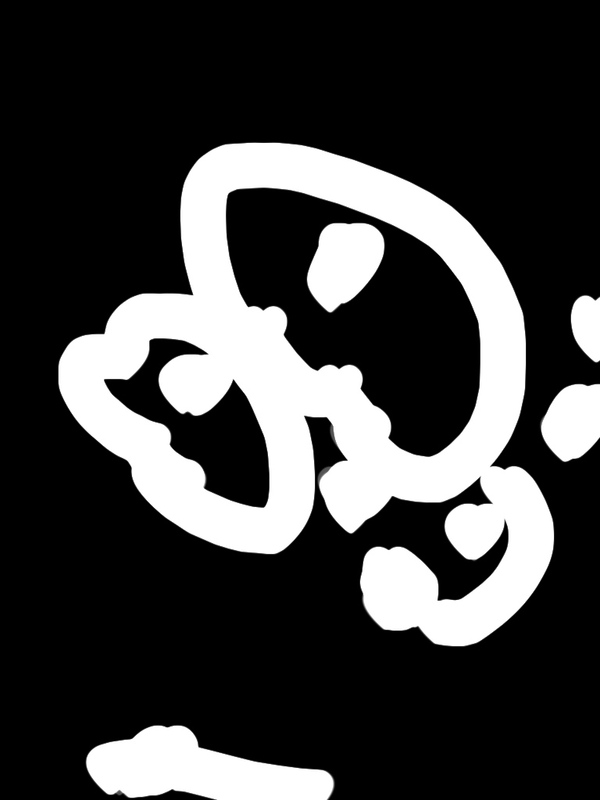 Jade’s iPad drawing from the GlowColoring App. It’s fun to see the initial connections with letters, sounds, and words. 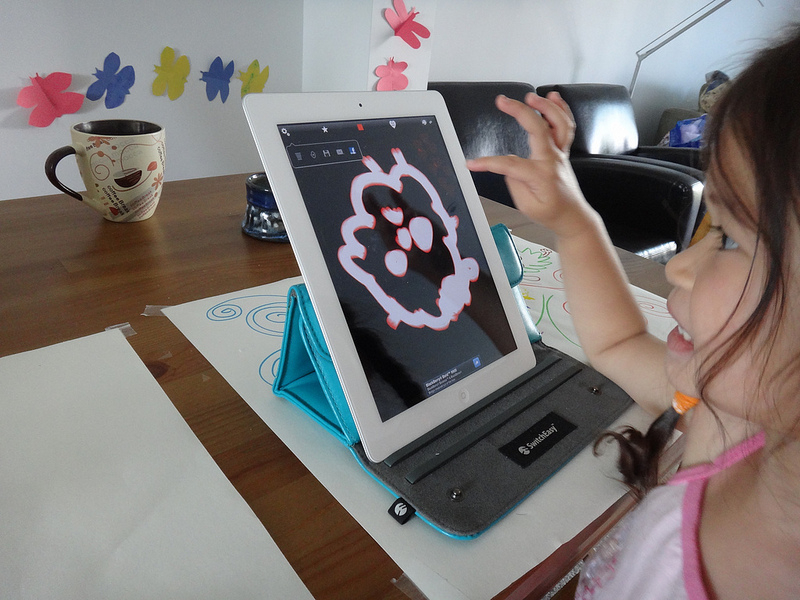 Jade talks while drawing … She loves the free app called “Glow Coloring”.